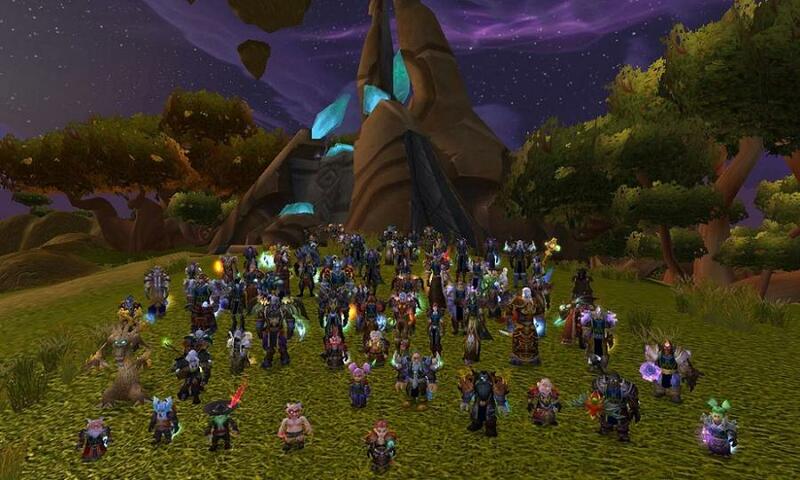 If you looking for hand made Account on Private WOW server , you have come to the right place! ✔ Good name, we dont sell characters with nickname like "sadqwewqasdqwwq"
✔ All Accounts are protected and have original email. MC Atune, PVP rank 8 ( now rank 7), Around 250 SPD, Tailoring 290, Herbalism 300, Mount 100%, Character have around 50g. Signet Ring of the Bronze Dragonflight, Ritssyn's Ring of Chaos, Bloodvine Leggings, Netherwind Belt, Gloves of the Hypnotic Flame, Ring of Spell Power, Arcanist Boots, Azuresong Mageblade. Pre raid gear, around 200+ spd, 270 Tailoring, 60 Herba, 60% Mount. Bloodvine set, Pre raid gear, T1 3\8, SPD Gear, Glowes, Belt, Wrist. Epick Back - Cloak of Consumption, Epick Belt - Sash of Whispered Secrets, Epick neck - Charm of the Shifting Sands, Trinket - Zandalarian Hero Charm + Eye of the Beast. Holy Pve gear - 2600 gs, Epick kara Gear, Pre Raid. Retri Pve gear - not full, Pre Raid. 60% Fly, BS 375, Minning 375, Heroic Key. All Top Gem And Enchant have. PVE Gear - 2450 GS, pre Raid + Epick Gear , T4 Glowes. 60% mount, Kara Atune, 5\5 Heroic Key, 350 Engineering, 355 Tailoring. Atune Kara, 3\5 heroic key, 100% Mount, 60% Fly, 375 FA, 100+ Engineering. 4\5 Heroic key, Mining 150, BS 300, Atune Kara, Fly 60%, 700 Arena Point. Fly 60%, Mining 375, Engineering 307. Almost 2500 gs pve gear, 3\3 SpellFire mage set Epick, Pre Raid Gear\Kara, 850+ Fire Spd. Pve gear - around 2300gs, 3\5 D3 set, weapon - Sonic Spear + Skyfire Hawk-Bow, Pre Raid gear. 375 LW, 375 Skinning. 60% Ground Mount. All Gem and Enchant have, 2\5 Heroic key. PVE tank gear - 2250 gs, Craft\Pre Raid\Kara. 60% Fly, Kara key, Engineering 306, Minning 314. Mount 100% Fly 60% , All Enchant and gem have. 100% mount, kara atune, 60% Fly, 1\5 heroic key. DPS Gear - 2263 gs, Pve gear, PRe Raid gear. Blue\Green Pre Raid gear 2110 gs, PVE. Epick Weapon - The Bladefist + Drakefist Hammer. Off Spec Elem - around 2000 gs. 351 BS, 375 Mining, 60% Fly Mount, Kara Atune, Auchenai Key, Flamewrought Key, Reservoir Key, Warpforged Key, Shadow Labyrinth Key, Key to the Arcatraz. Enha Gear 2800+ PVE GS, T5 level. 2\2 Weapon Dragonstrike, Shoulderpads of the Stranger, Tsunami Talisman Trinket, And More epick Enha gear ..
Restor Gear 2400+ PVE GS Shard of the Virtuous T4 Glowes, T4\ Kara gear. 1) Ally Human Mage : 60 lvl, 60% Mount , Good Pre raid gear, 250 SPD . Skinning 300. 4) Horde unded Mage : 44 lvl Unded male, Tailor . 60% Mount. 5) Horde Unded Priest 60 lvl : Shadow Peiest Gear, R10 Blue PVP set 6\6 Champion's Raiment, 100% Mount. 6) HORDE ORC MALE SHAMAN 60 lvl : Enha pre-raid Epick\blue gear, Restor\elem mix Gear 2T1+pre-Raid Epick\Blue. 60% mount, MC,ony atune, LW 252\ Skinning 300. - cheap ! Fly, All Gem, All Enchant have. 2) Ally Human Death Knight 80 lvl, 6020 pve gs, main Unholy Gear, and Frost off spec. Death's Verdict 245 + 258 ilvl. Engineering 410, JW 450. Fly 150%, All Top gem and enchant have. Tank Gear- 2t6 , Hyjal Bt gear. 60% Fly, 375 BS, 375 Engineering, All Top Enchant, All gem have. S4 Off set - Wrist, Belt, Boots, Ring. Weapon - Rod Of the Sun King + S4 off hand Mace, S3 + S4 Dagger, Have Full S3 set + 4\5 s3 Gear. 2) Horde Troll Mage : 2850 GS, PVE gear 2T5, 1T4, Epick gear 950 SPD. 20% crit, 165 Hit. Atune Kara, SSC, TK, All heroic. Fly 60%, Enchanter 371, Tailoring 375. 600 ARP, 40% Crit, 2600 Atack power. - Bonus On Account Rogue Unded 63 lvl. PVE Balance gear - 1T6 3450 gs, Have Craft Ring SWP, and Glowes. Good pve gear. PVE Restor gear - Badge,Craft, ZA, 3350 gs. 280% Fly, Atune BT, Alchemy 375, LW 365. Another Gear BT\Hyjal, 3680 PVE gs. Have Elem Gear 3250 gs pve , In Bank Things for Restor. Lw 375, Skinning 375, 280% Fly, All Enchant and Top Gem have. Payment : Paypal, Skrill, Webmoney, Qiwi. There are impersonators pretending to be me in Skype! live:zmey1991.3 or any other variations like live:zmey1991. I'm looking to buy warmane - outland coins. Also looking to buy a geared pvp warrior, and geared pvp restro druid. thanks. Do you sell warmane coins? Or have a geared pvp warrior or pvp Rdruid for sale? +Rep Fast and smooth transaction. Thanks! Bought 1000g and it was super easy, super fast! Also bought some Warmane coins and it was easy as well. Thanks! Great guy, helped me find everything that I needed and was very patient. Will buy from again. Bought 100g, fast trade, legit seller, trustworthy!